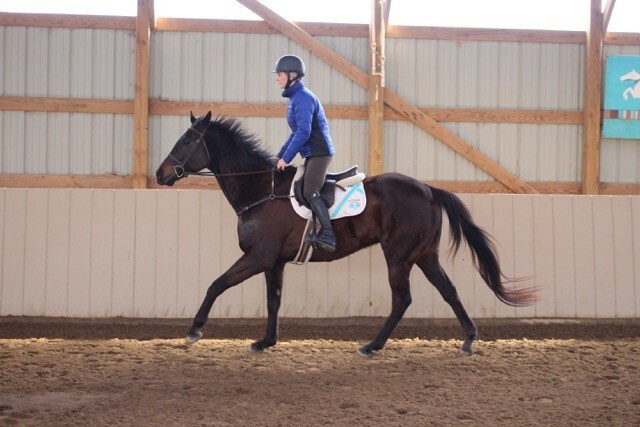 After receiving ample rehabilitation and training, Thoroughbreds at CANTER KY are put up for adoption to approved homes. 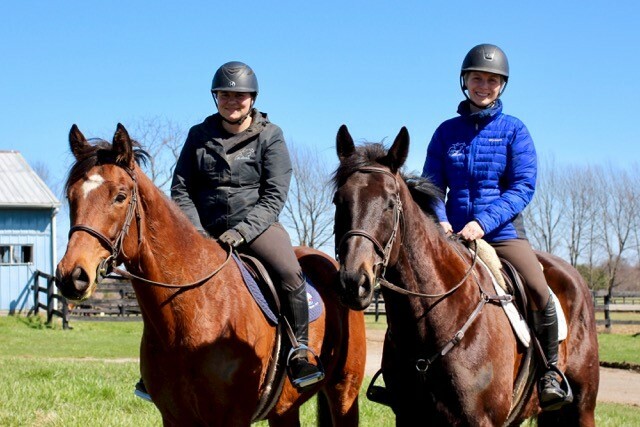 Known as CANTER, the Communication Alliance to Network Thoroughbred Ex-Racehorses is now a nationwide effort to help find off-the-track Thoroughbreds (OTTBs) new homes, and has succeeded in transitioning over 25,000 OTTBs nationwide. CANTER is run 100 percent by volunteers both at a national level and in each of the 18 independent affiliate chapters — including CANTER Kentucky, where Amanda Graham works a full-time job in addition to her role as executive director. 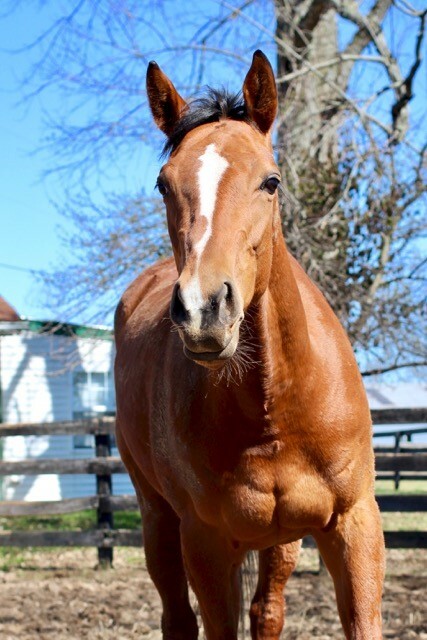 Jackie Kaz is one of CANTER KY’s currently available horses. There are two components to the CANTER KY program. 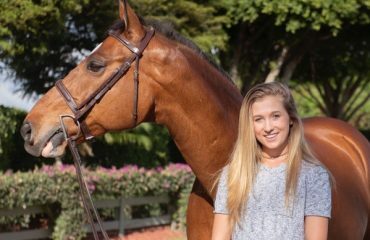 The first is a free online listing service where volunteers meet with trainers and owners to take photographs and gather information about their available horses and then offer them for sale to the general public through their website, canterusa.org. 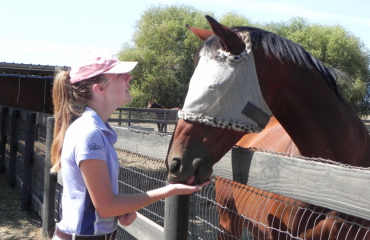 The second component involves horses donated directly to their aftercare program that are then rehabbed, retrained and rehomed — usually into sporthorse careers such as eventing, hunter-jumper and dressage. 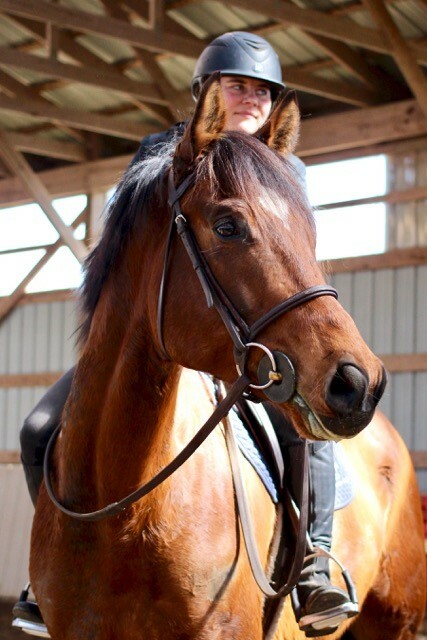 CANTER KY graduate Jay is now a popular school horse for students at Delima Stables. While CANTER KY may be able to take in and rehab some of these horses themselves, they can’t do it alone. 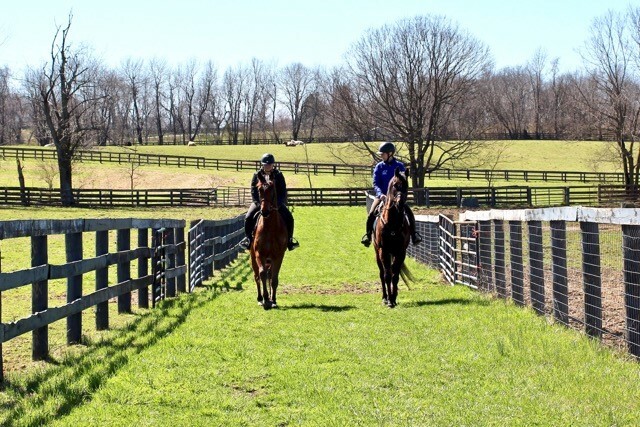 Since its creation in 2009, the CANTER KY chapter has received an outpouring of support from Churchill Downs, Keeneland, Turfway Park and The Thoroughbred Training Center in Lexington and many private donors. But funding continues to be a challenge. CANTER KY is actively in search of volunteers to help with everything from grant writing, fundraising and marketing to helping at the barn grooming and spending time with the horses that are available for adoption. 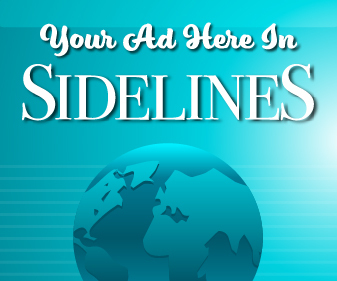 “We also need volunteers to help at the local racetracks and meet with local trainers/owners to promote CANTER and take listings and photos of their horses that are available for sale and looking for new careers outside of the racing industry,” Amanda said. 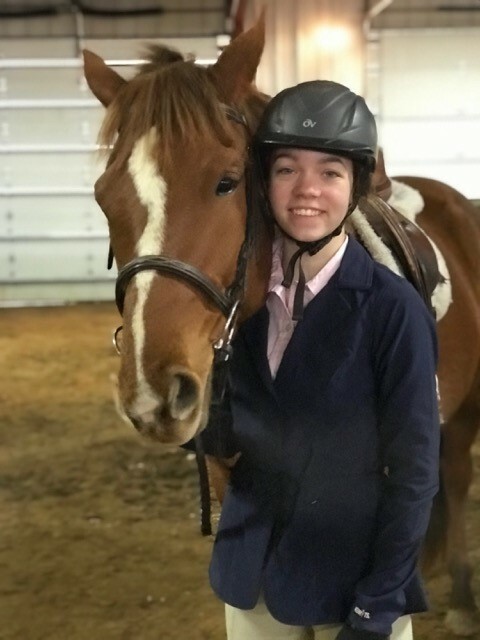 Kalena Richards is one of two trainers that works with CANTER KY horses from the time they’re accepted into the program to when they leave for their forever homes. Horses like Sister Caterina are given time to recover and just be horses after leaving the racetrack. CANTER KY has a very low return rate on horses they put up for adoption, due to their diligence in screening potential homes for each individual horse. 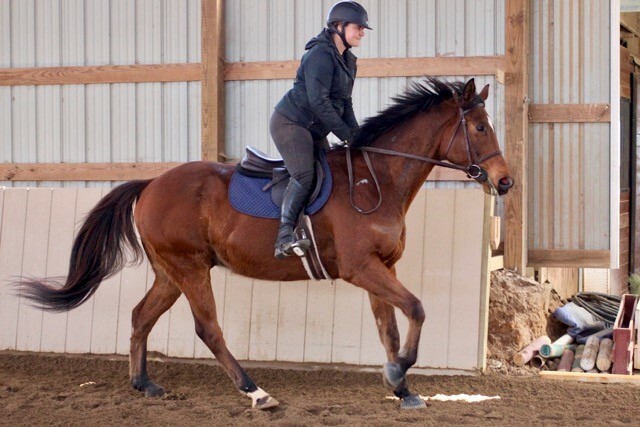 “We are picky about who adopts our horses and we do our absolute best to try and match horse with rider and ideally find forever homes for our horses,” Amanda said. 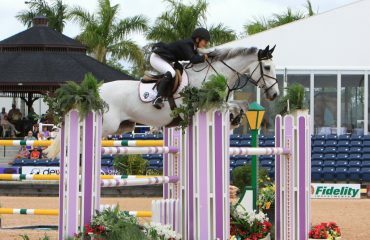 A CANTER KY horse is in the aftercare program from three months to a year.